The story of the Blathwayt family – Col Linley Blathwayt, his wife Emily and daughter Mary -who lived at Eagle House, Batheaston, where for some years they offered a haven to WSPU activists. Annie Kenney – and her sisters – were particular favourites. 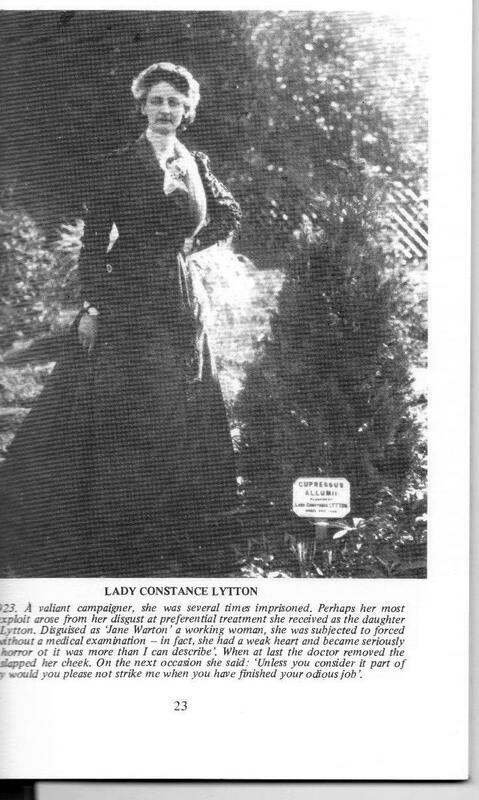 Col Blathwayt organised the planting of trees to commemorate visits by both suffragists and suffragettes – such as Lady Constance Lytton. For more about Eagle House (and a little about Rose Lamartine Yates and Dorset Hall, Merton, of whom, coincidentally, I wrote in yesterday’s post) see here. For ‘Suffragettes in Bath’ see here. 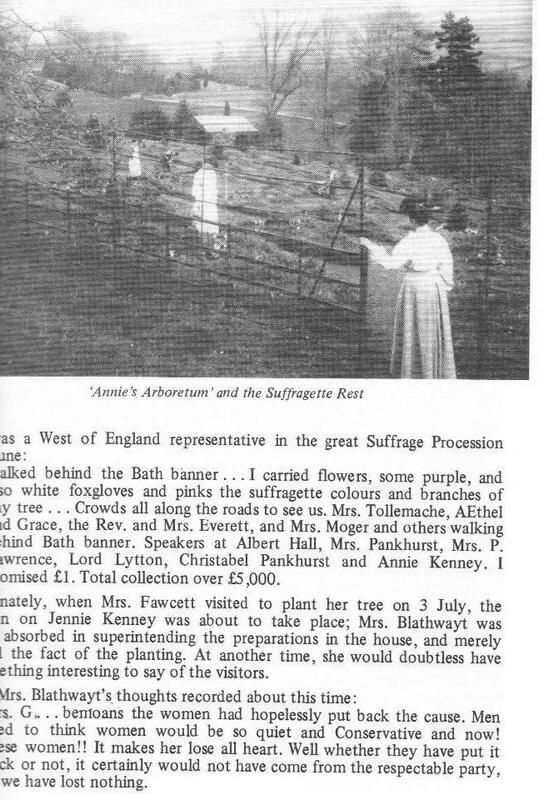 The diaries of Col. Blathwayt, Mrs Emily Blathwayt, and dear Mary Blathwayt, who I describe in the Women’s Suffrage Movement: a reference guide, as the ‘Mr Pooter of the suffrage movement’, are held in Gloucestershire Archives. This entry was posted on September 12, 2012, 8:55 am and is filed under Book of the Week, Collecting Suffrage. You can follow any responses to this entry through RSS 2.0. You can leave a response, or trackback from your own site.